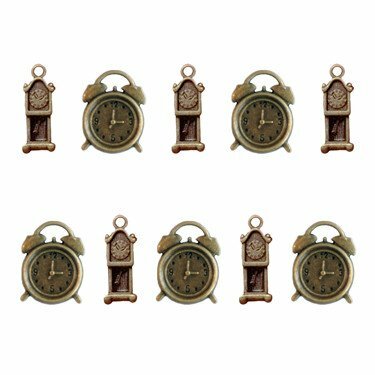 This package contains Nine (9) Vintage Clocks Charms. Perfect for adding to Project Closures and adding well that "extra charm" to your Homemade Project. Product designed by Ken Oliver and distributed by Maya Road.